One of our favorite ways to enjoy black raspberries is in a black raspberry cobbler. Black raspberries (or black caps) are a celebrated rarity in the food world. The dark-colored hue of these little berries sets them apart from other raspberries. With a subtle nutty flavor, black raspberries have a completely different flavor profile than other raspberries. Best served as a healthy snack on its own or in smoothies, paired with yogurt and granola or incorporated into desserts. 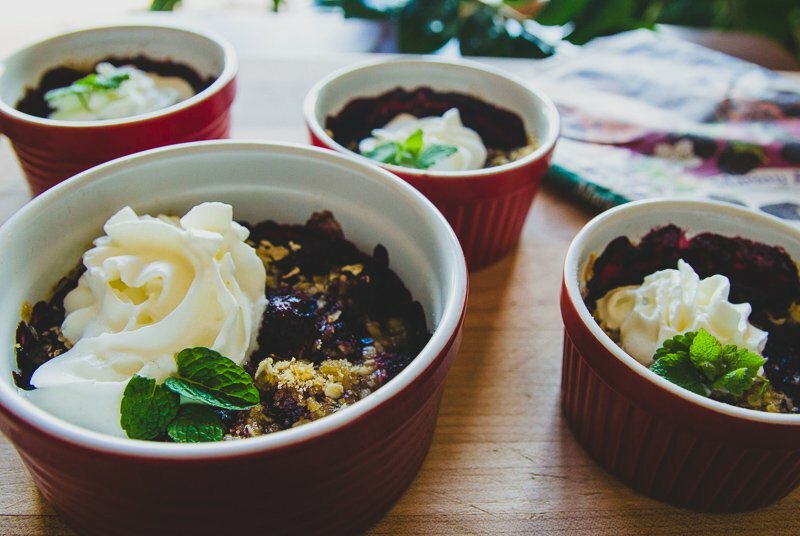 Try out our black raspberry cobbler recipe below to take advantage of our unique and beloved black caps! Melt the butter in 9X13 pan. Mix together the flour, sugar, baking powder and milk. Pour over melted butter. Put Stahlbush Island Farms Marion Blackberries over mixture. Sprinkle sugar and cinnamon mixture over top, (optional). Bake in oven until golden brown, approximately 45 minutes. Combine berry mixture and bring to boil on top of stove using a metal oven proof pan. Sift together first four crust ingredients (sorghum flour, gluten free flour mix, baking powder, and salt). In a separate bowl, cream sugar and butter. Beat in eggs. Add this egg mixture alternatively with milk to sifted ingredients. Stir in vanilla. Drop crust mixture by tablespoons over boiling fruit. Bake at 350 degrees for 30 minutes. The crust will spread over the berry mixture.